One of the most important, and often overlooked, activities on this list is sediment control. During the demolition process land and soil becomes disturbed, accelerating erosion and increasing the potential for sediment to be spread beyond the site, usually due to heavy rain. This can lead to sediment ending up on the road or working its way into local waterways, causing pollution. The aim of sediment control is to prevent this from happening by implementing measures to keep the eroded sediment on the site. Not only is proper sediment control the environmentally responsible thing to do, it is also required by law. 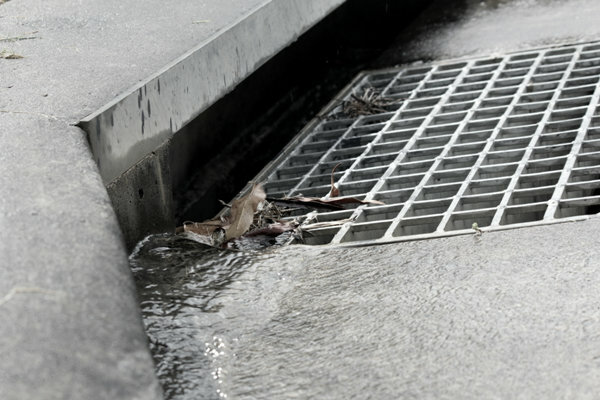 Under section 120 of the 1997 Protection of the Environment Operations Act heavy fines can be imposed for allowing soil, mud, cement washings or other sediment to be in a position where it is likely to be washed into a storm water drain. Although fines vary from council to council, penalties for not complying with sediment control and erosion regulations can start anywhere from $8,000. In Ryde Council, fines are particularly harsh and can reach a maximum of $250,000 for home owners and $1,000,000 for corporations. Minor offences can also elicit on the spot fines from council rangers. Some councils require a sediment control plan; a document in which you provide information about what sediment control methods you intend to use on your demolition site. The amount of sediment control measures required depends on a handful of factors such as soil type, the slope of the site, the extent of the soil disturbance, the climate and season, and, the size and location of the site. Depending on the site, Geo fabric sediment control fencing can be a straightforward way of making sure soil and sediment doesn’t get washed away off the demolition site. The fencing is set up on the side the land tapers and works like a filter; allowing water to pass through while trapping soil, clay, sand and other sediment.